Illinois Dermatology Institute- Hinsdale (Hinsdale) - Book Appointment Online! 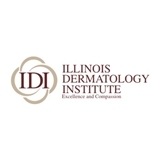 Illinois Dermatology Institute (IDI) is a collection of forward-thinking and patient-care driven dermatologists, and Dr. Harris and Dr. Petersen are proud to be part of this high-quality group. Our providers have been serving the western suburbs of Chicago for over 40 years, and during that time they have garnered a reputation for excellence. We believe that when you come to our office, you deserve the highest level of care with the best treatments currently available. We insist that your experience be a pleasant one; thus, we always strive to treat every patient with respect and cultivate a warm and welcoming environment. Whether it is taking care of your skin, hair and nails, or helping you maintain looking your best, Dr. Harris and Dr. Petersen should be your choice when you want excellence in a dermatologist.